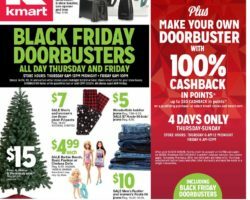 View Kmart Black Friday 2016 Ad – with doorbuster deals available in stores from 6 PM Thanksgiving Day until 1 PM Black Friday. 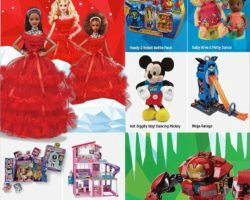 Save with this year Kmart Black Friday deals on: Jaclyn Smith Boxed Costume Jewelry, Family Footwear, 12′ Trampoline w/ Enclosure, Rustler Men’s Denim, Samsung HDTVs. 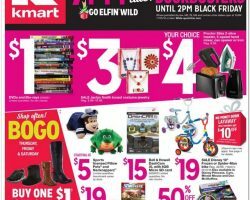 Kmart Black Friday Sales 2019. 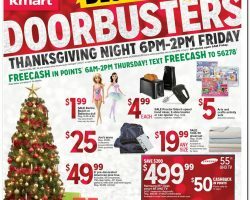 Find Kmart Black Friday Ad and doorbuster deals for 2019 from blacknfriday.com. Kmart was founded in 1899 in Detroit, Michigan. The business started out as a five and dime store and progressed gradually into a network of stores selling exclusive merchandise and groceries. It is today a subsidiary of Sears Holdings, one of the largest retailers in the United States. 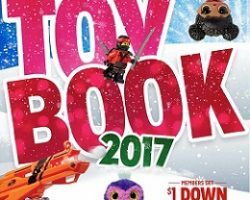 The retailer operates locations across 49 states selling anything from foods to clothing, jewelry, electronics, toys and beauty items. 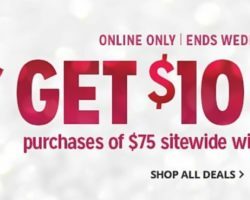 The retailer also offers online shopping possibilities, including international deliveries. 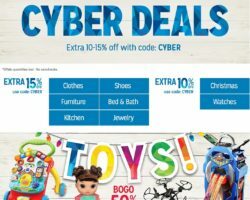 Aside from providing money saving opportunities with regular clearance events, the retailer helps customers get best value for money during special sale events such as Black Friday. 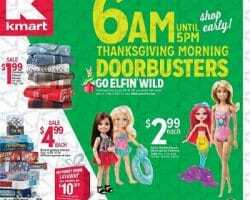 Last year the Kmart Black Friday Deals rolled out for three full days starting Thursday through Saturday.